I wholly enjoyed reading this adventure story, a thrilling journey and ride with wonderful character development and a highly contagious heroine, Aqual. It’s a magnificent novel–something that many first-time authors do not achieve. The Admiral is a post-apocalyptic novel about a community of people trying to survive a climate-changed world on a secret island of aging yachts. Mary: This is your first novel, but you, if anyone, have the background to tell it–and the talent (I have read a few reviews where readers want a sequel!). You were the editor and later owner of ShowBoats International, founded Seakeepers Society, received the 2006 Leadership Award with the International Superyacht Society, and have been a staff reporter and avid yachtsman. Please tell us a bit about this background: what inspired your love for the sea and the work that you have done? Jim: I’ve spent my life messing around on the shore and on boats. I was also a competitive surfer and a commercial / recreational ocean fisherman and occasional scuba diver. The biggest influence was my personal experience with the diminishment of the sea, the loss of abundance and variety of fish, the destruction of habitat. As a young journalist writing about these things on Cape Cod I discovered that what I was witnessing as on top of the extraordinary losses that had already occurred before I was born, that it takes a longer view to understand the real impact of the terrible losses we have brought upon the seas, which is to say upon ourselves. My grandfather taught me how to fish; my father was a meteorologist who loved the sea. 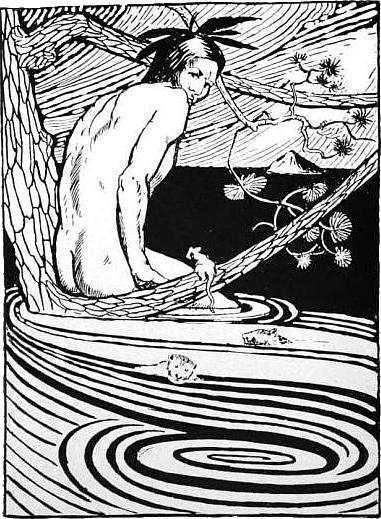 But each generation sees the world with the arrogance of fresh eyes, and it takes a special kind of seeing to imagine the world as it once was, when the sea and land were full of life and healthy in a way that is no longer true today. Mary: Moving on to your book, one of the kudos is from Jacques Cousteau’s oldest son Jean-Michael. Having grown up with Jacques as a hero, this hooked me right away. One thing that Jean-Michael said about your book was: “A story like this will inspire us all to protect our water planet and ultimately ourselves.” I think a growing concern among novelists who write about the environment is about climate change. It’s great that you have taken on this effort. Can you speak more about your personal concerns about climate change as it relates to the seas and oceans? Have you seen how it has affected your peers and friends? Jim: In my yachting career, I realized for all the beauty superyachts embody in their design and construction, they also symbolize our runaway disregard for the natural world, the supreme egoism that has brought us to the brink of such enormous loss and catastrophe. Owning a superyacht that burns 500 gallons of fuel per hour is really no different than owning a SUV that burns a gallon of fuel every 10 miles, except in scale. Just because we can afford to do something does not make it the right thing to do. The saddest thing about this knowledge has been the estrangement I’ve experienced with a few of my best friends in the superyacht industry who out of ignorance and their own self-interest see climate change not as a risk to nature and society but as a personal attack on their freedoms. Mary: The novel is rather epic in that it describes three generations of families on Akkadia, the yacht community near Monaco. I find that this continuity of a home or commons is really vital for establishing just how important communities are, especially as the climate story around them unravels their settled flow. Do you agree or have any thoughts to add about the “home” aspect of your book? Jim: If we are going to change our ways, I believe, it won’t be because politicians finally realize that the scientists are actually right about climate change. It will be because individuals lead their politicians by the nose to take action. The reason for this is sociological, I think. People act most decisively from a need for self-protection. The impulse is strongest when protecting yourself, your family, your home. Next comes your village and personal community. Only finally do you act out of protecting “society”. 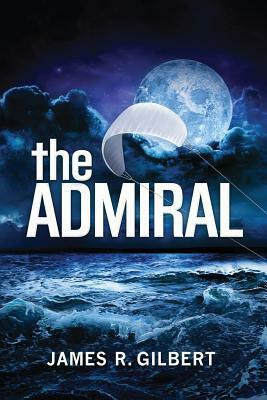 In The Admiral I wanted to write in a way that made climate change personal to people. I want my reader and the larger audience to identify with what sea level rise and climate change (with all its potentially catastrophic consequences like disease and social disruption) will mean to them and their children, because they won’t change in any meaningful way until they do. Mary: The admiral, the creator of Arkkadia, is no longer alive in the book, but he had created video-recordings to pass down to his people, including his granddaughter Aqual, who takes his place as the leader. One thing I have found by reading so many climate-themed novels such as this is that one key motif that they have in common is how information is preserved. In other books this has been done by personal journals, digital archiving, or old-fashioned scrolls. I just find this element and commonality an interesting one. In your novel’s case, this documentation in the form of videos acted as a vehicle of information and data from the past that showed current people how climate change came about. I found this a non-preachy but effective way of communicating this message that often manifests as the moral imperative of climate change novels. Do you agree, and what are your thoughts about preservation of the past in regards to moving forward? Jim: I love history, perhaps in the same way a scientist might appreciate the research of those who have gone before them in their fields of study. History offers a foundation. This was just as true before mankind had access to pens and computers. In ancient civilizations the stories of their ancestors were not only instructive and illuminating but they helped forge identity, sense of place and thus created the context for a person’s existence. Being without history is akin to being without community, without self-identity. We are social creatures in our genetic wiring and DNA. Without social context, without seeing our reflections in other peoples’ eyes, we are nothing. Mary: After we first spoke a while back, I went to look at your website and notice that you have a picture there with a baby. It’s a very sweet photo. I wondered if that was your granddaughter? Going along with that question, your main character in The Admiral is also a granddaughter, Aqual, and she is charismatic and strong. She leads her people through swashbuckling and high-seas adventures, while also having a soft and vulnerable side. What inspired your creation of this character? Jim: I don’t like Dalai Lama quote as a rule, but I once read that he had said if human are to survive it will only be because of western women. I’m not sure why, but something rings true for me in this aphorism. As a culture we believe this, I think. Look at the rise of Aqual-like characters in literature and film (and music). Lisbeth in the Girl With the Dragon Tattoo is one such character. All the major social battles of this century and last — civil rights, equal rights, cancer from cigarettes and asbestos, drunk driving — have been supported mainly by women. I want younger women to take to the streets about climate change, and wanted a character they might relate to, not because of her beauty but from her inner strengths: smarts, forcefulness, ability to act on her instincts, fierceness, courageousness, able to overcome her own fears and insecurities, her ability to love. My grandaughter, Abby: I have such fears for her and the life she will experience. I hate myself for the world I am leaving her. But now I have more reason than ever to carry the flag, and more inspiration to continue writing. Mary: It seems that you received a lot of good reviews on this book so far. Have you heard from anyone personally about your novel inspiring them to look at climate change in a new way? Jim: The Admiral has only been out for two months, but I hope it inspires people to act. For the planet, as well as for themselves. I haven’t heard of anyone doing anything environmentally because of the book’s message, but quite a few people have told me they’re inspired by the fact I’ve followed my lifelong dream to write a novel. Mary: Do you have any thoughts about the novel that you want to share–that I haven’t touched upon? Jim: Hmmm. So much. . . But here’s something: I found in creating Akkadia’s world that I had really done nothing more than move forward in time 80 years or so. The world is now vastly changed in a physical sense, but what remains — the challenges, the human emotions and relationships, the characters’ motivations — are no different than in our world. Not sure if that’s how it will be in the future — will we be fundamentally altered in some profound way, or are we permanently built and wired to do or die as we are today? Mary: Are you working on any other novels now, or what’s going on in your life? More sailing? Jim: I’m taking the summer off to promote The Admiral. I’ve written a rough draft for the sequel, The Gyre, but I want to take the time to think about it before I do a rewrite. I’ve read many writers’ second novels and have been disappointed — as if they rushed into their second book too fast. I think there’s a bit of truth to that: Your first book embodies much of what you’ve spent this entire first part of your life learning, feeling, experiencing. You’re now an author and some feel they need to get the second in print to underscore their new status, to build their career, etc. In the process they take half the time with their second that they have taken to writing the first. And yet, the second book should be deeper, richer. After all, you have the same life experience to write about, but you also have the experience of writing, revising editing to draw upon. Perhaps a word of praise for older authors is that they may have less time left in their careers, but they have learned that stealth and wisdom, as the saying goes, are just as valuable as speed and good looks. Thank you, Jim! Marvelous interview. It was an honor. Please read more about The Admiral at Christopher Matthews Publishing, at Jim Gilbert’s website, and on Amazon (ordering). What a marvelous interview. I truly admire Jim’s reasons for writing the book, and it looks like I will be equally pleased with the writing quality when I get my hands on a copy. Mary, wonderful interview. Thanks to both of you. Good interview. Personally, I find as much truth in fiction as I do in the everyday world. A fiction writer cannot write with exposing their view of the universe. If only politicians would do the same, we all could judge the character and inter workings of the individual. I also believe stewardship of the planet should be humanity’s first order of business or we will lose the planet. We have gone too far already. Let me know if you want to share some pins on Pinterest. If a bunch of us clifi writers got together we could advance clifi on Pinterest considerably.